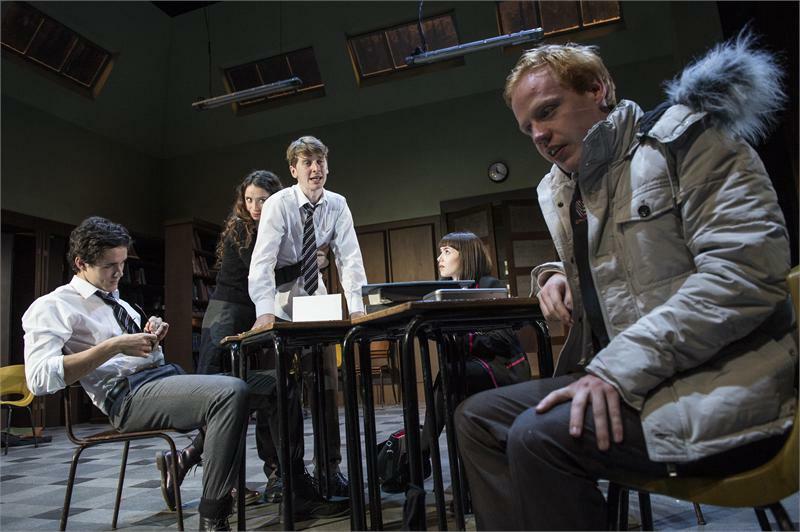 This entry was posted in Irish theatre and tagged Jimmy Fay, Kurt Cobain, Lyric Theatre, Marie Jones, Owen McCafferty, Punk Rock, Selina Cartmell, Simon Stephens, Stewart Parker. Bookmark the permalink. Going to see it tomorrow and really looking forward to it. I almost wish I hadn’t read it before seeing it. And Dublin people take note: there are Sunday matinees! You can get to the Lyric in less time than it (can) take to get from Draoicht to the Pavilion. That was a terrific read Patrick. I’ll second that the play does indeed leave you shaken and compelled to react. And I will add that, for me anyway, the “Punk Rock” of the title is not defined by the music itself, but the characters – their heart, bravado, innocence, brains, optimism, apathy, crazed confusion and soul. All elements of punk rock origins. It’s the sort of play that one has to sit down and contemplate for a while before its impact truly hits. And, needless to say, the cast are all superb, particularly Dunlop and Coe. Thanks for the link to your own review – great stuff – loved the description of it as a Stockport Breakfast Club. Really interesting observations on relationship between Lilly and William – will definitely be thinking more about that. I was at the exact same performance as the writer, but if I’m being honest I found the whole thing to be a rather cold, hollow experience. The character of William might as well have been called ‘Chekhov’s Son’ – he was obviously going to go off in the latter stages. It was mostly the nihilistic worldview of the characters that left me unable to relate to any of them on a human level – I think at 36 I’ve just grown very weary of this sort of hamfisted authorial voice. As for it sounding like actual teenagers? Not from what I know of them. I’d love to see true naturalism onstage, but it just doesn’t seem to be a priority, so instead we have to watch people perceptibly ‘act’. It’s wearisome.